Are mice entering your home? How are mice entering my home? Mice can enter your home through some of the tiniest holes, but here are the top 3 common area’s where mice could be entering your residence. 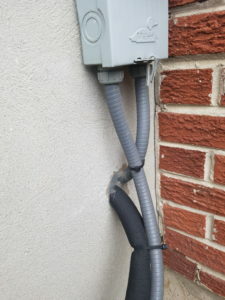 Air conditioner lines that enter your house should be sealed. But over time, the sealant can start to deteriorate as it is exposed to the elements. Take some time to inspect any lines coming or going from your home. Ensure there are no gaps where mice can enter. You can fill any gaps using steel wool, or caulking. 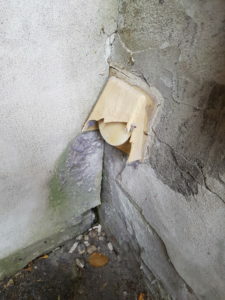 Old damaged vents are very common in older homes as they are sometimes overlooked by homeowners. Vents can become very brittle over time and can start to malfunction. In this example, you can see that the vent is stuck in the open position. This allows mice easy access to enter your home. This is a picture of a dryer vent. Dryer vents can produce radiant heat around it and can draw mice in. They also can start to collect lint, which is perfect nesting material for mice. Always be sure to clean your dryer vents and ensure they are functioning properly. 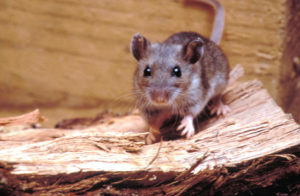 Door sweeps are a very common area where mice can enter. Inspect all exterior doors to make sure there are no damaged or chewed door sweeps or weather stripping. If you have a garage, check the bottom corners to ensure they are properly sealed to the base of your home. These little gaps make for perfect points of entry into your home and are often overlooked. Replacing door sweeps and weather stripping will help keep mice out of your home but will also help with energy conservation. If you are experiencing any mouse problems Andy’s Pest Control is here to help. Feel free to Contact Us to discuss treatment options. We provide pest control services for all of Peterborough and Kawartha Lakes specializing in residential and cottage pest control.